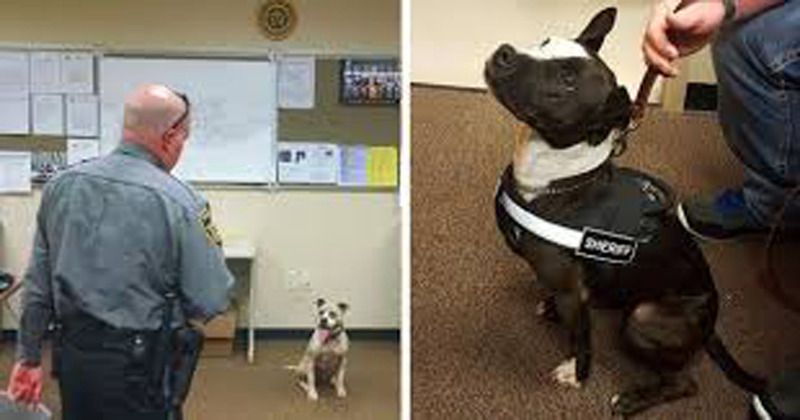 Phantom and Sarah are two rescue pit bulls that have just become K-9 dogs for North Carolina’s Clay County Sheriff’s Office. 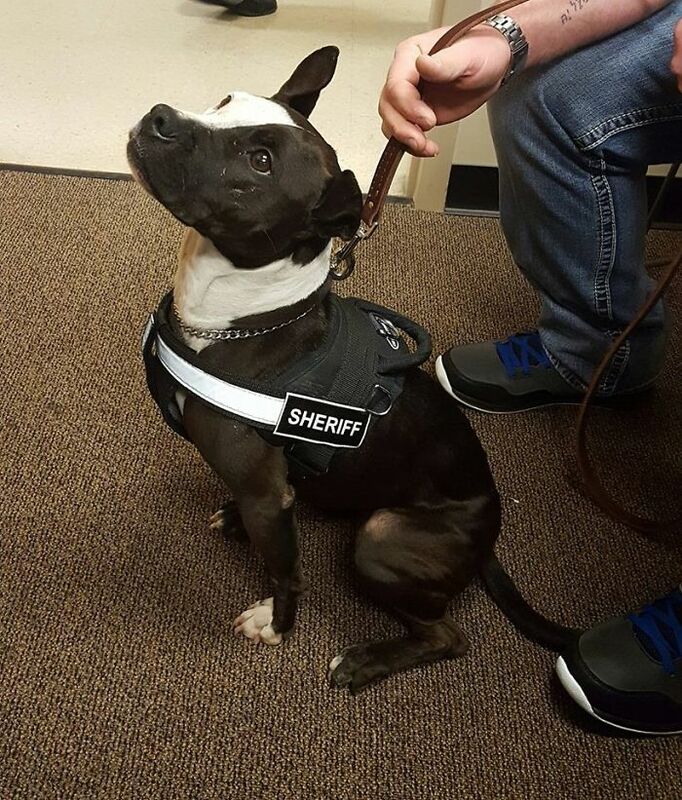 This police department took it upon themselves to give these gorgeous pups a chance to do great things for their community and hopefully change negative stereotypes about their breed. Pit bulls are a misunderstood breed that have notoriously been given a bad reputation in the media. In the US, they are the #1 breed to be euthanized. Like any breed, there can be good and bad – what this shows is that it really comes down to nurture over nature. Not only does this venture give these pups a second chance at life, it also happens to be saving taxpayers money. “The two foundations have taken on the mission to show that Departments do not need to spend $15-$20,000 for a purebred German shepherd or Belgian Malinois to search and find illegal drugs, at the same time giving dogs destined for a life in a shelter or euthanasia a second chance at life serving Law Enforcement Officers and Departments around the country,” they released in a statement. 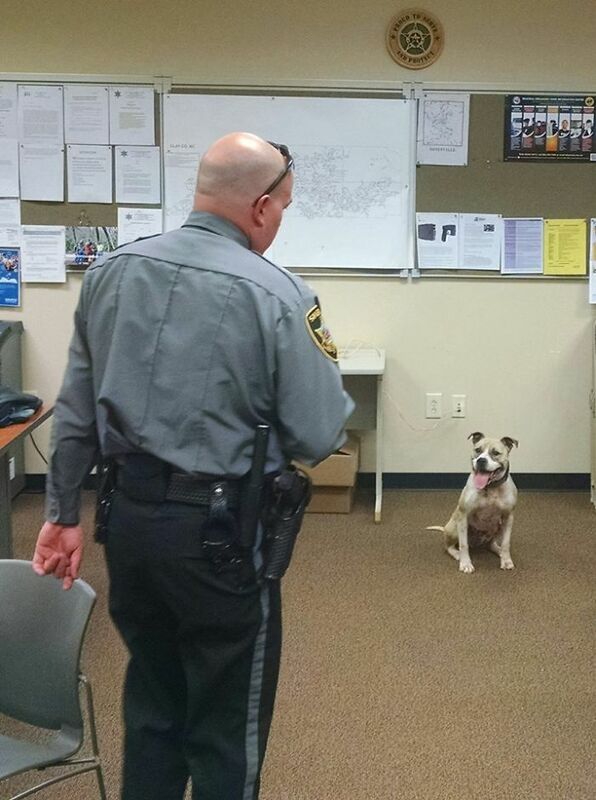 We hope that this becomes a regular occurrence among police departments all over the country who are interested in saving money and providing a purposeful and happy life to many willing rescue dogs.